On the 10th September, 1858, the new British Consul arrived in Levuka. William Pritchard rented two rooms from John Binner. Binner was the Wesleyan mission Training Master at Levuka, and under another hat a considerable trader. Binner’s fleet of trading boats: William Pritchard reported “Another of the complaints thus early brought before me was against the natives of Waca, a small island on the western limits of the group. 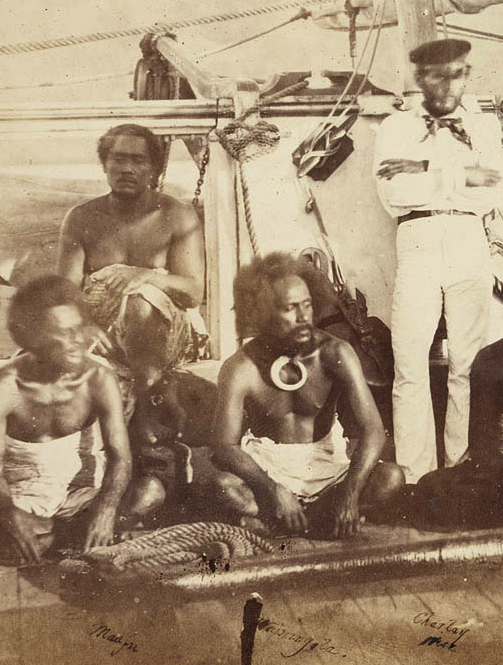 Mr. Binner, Wesleyan Mission Training Master at Levuka, had several boats, manned by mixed crews of whites and natives, trading amongst the islands for cocoa- nut oil, beche-de-mer, and turtle-shell. Mission politics: Captain Sinclair, took up the matter on behalf of the murdered American, and who it now appeared was in some manner interested with Mr. Binner in the ownership of the boat or cargo, a fact which had not been made apparent in the first statement of the case to me. Mr. Binner was now convinced that it would be less injurious to the Wesleyan mission for Captain Sinclair to inflict retributive punishment for the murder of the American and his companion, rather than for me to press the savages ” for redress and indemnity ” for Mr. Binnes’s calicoes and hatchets. And so, much to my satisfaction, the case passed out of my hands into those of Captain Sinclair. A party of fifty men was quickly dispatched to Waea, to demand the murderers and to obtain indemnity. 500 men at Waea prepare to fight; The Waea people, mustering nearly five hundred fighting-men, defied the party and declined all communications. The Americans attacked them in their fort on the summit of a hill some 800 feet high. Some twenty of the natives were killed, as many wounded, and their town and fort burnt ; of the Americans five were wounded.